Samsung has encountered the first hurdle to the victory lap of its new flagship phone, the Galaxy S8, in the form of an annoying red tint to the screen. The company claims that the tint is due to settings rather than defective components, but complaints are piling up. IT experts have backed Samsung's claim, saying the red tint is probably not due to problems with the OLED screens. A Samsung spokesman said the screen colors can be modified by changing the settings but added, "We're looking closely into the cause of this phenomenon." 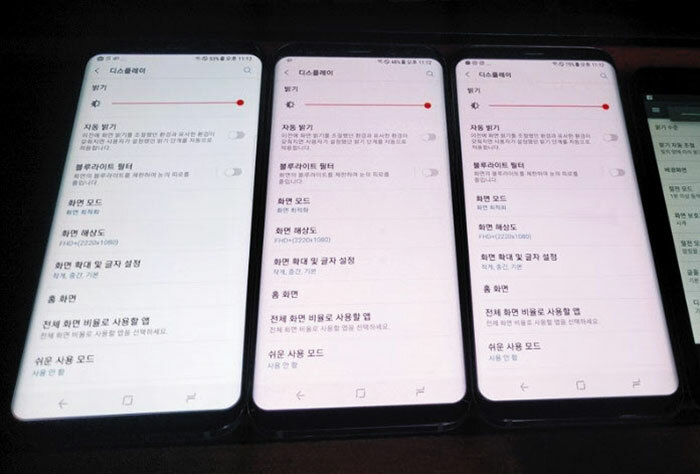 Choi Kyung-cheol at the Korea Advanced Institute of Science and Technology said, "Defective OLED screens show lumped-up colors or patches, which isn't what's happening here. It looks more like Samsung didn't check the default settings properly when the phones rolled off the assembly line." A picture from an online tech community compares a normal Galaxy S8 smartphone with two red tints. But others suspect a glitch in the software or chip that controls screen colors. Such problems can occur if non-memory chips do not match. Song Myung-hoon at Ulsan National Institute of Science and Technology said, "Samsung used a new light-emitting circuit in the Galaxy S8 and the software that controls the hues may not have not been optimized." Samsung has posted instructions on its website how to resolve the problem.